Fully insured modern school bikes available to hire for pre-tests, driving tests and beginner to advanced lessons. Welcome to OnYourBike motorcycle training ltd. Road Safety Authority approved IBT training centre. Centrally located in Castlemartyr, East Cork. 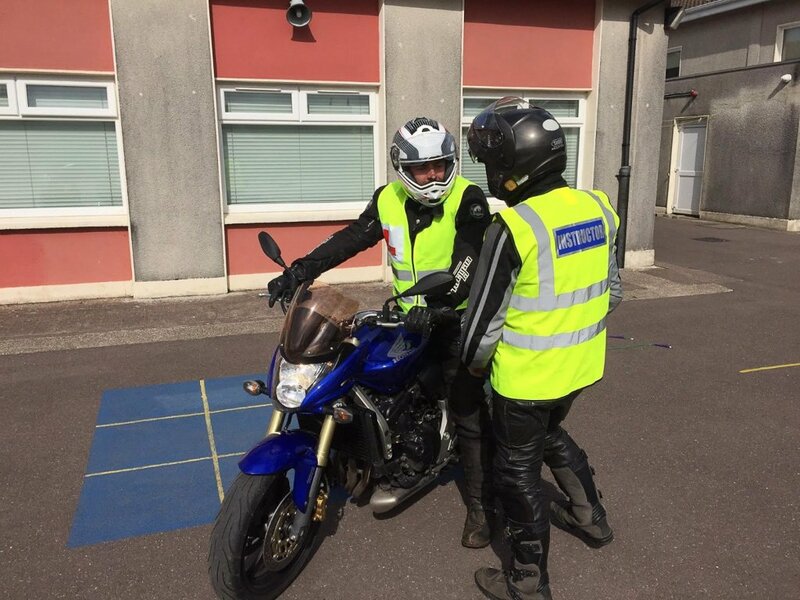 Established in 2015, our instructor Michael has over 35 years motorcycling experience, is a RSA approved ADI, holds a ROSPA gold driving award, also certified in FBoS - emergency response skills and a bloodbikesouth volunteer rider. We provide motorcycle instruction for beginners, to advanced riders. Initial Basic Training "IBT" modules 1 to 4 and progression module 5. 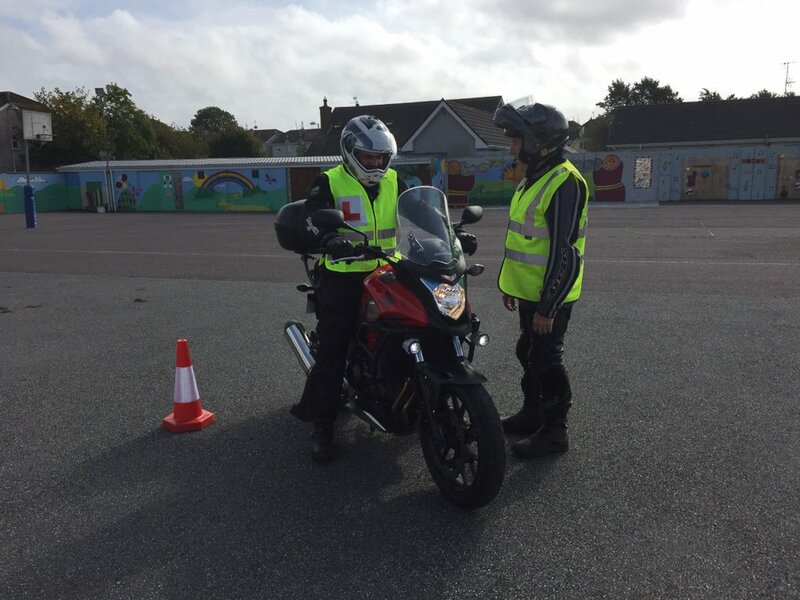 School bikes available to hire for pre-tests and driving test categories A1, A2 and A. 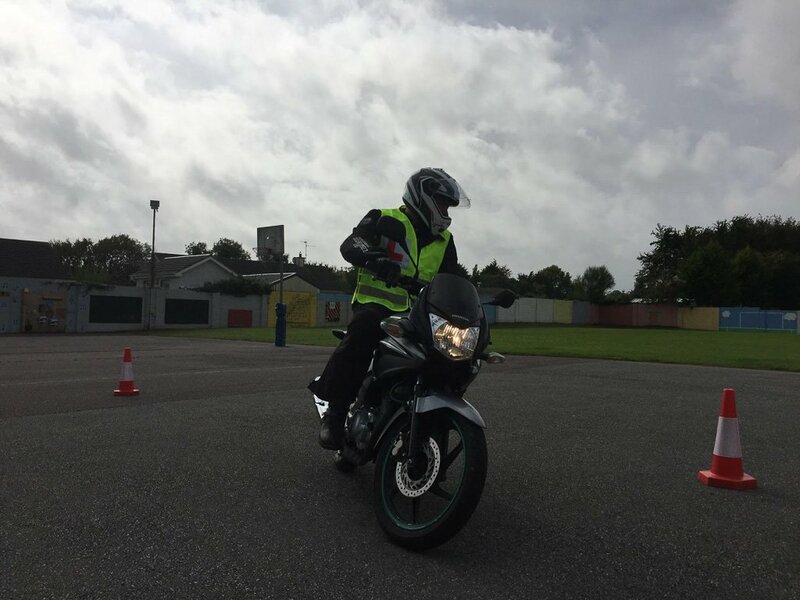 Initial basic training (IBT) is mandatory for anyone who gets a first motorcycle learner permit, from 6th of December ‘10, with an approved driving instructor (ADI). Duration of the IBT can range from 11, 16 or 18 hours. This is dependant on the category of learner permit held. Because the IBT is mandatory, insurance cannot be secured without a certificate of completion. The practical driving tests are approximately 50 minutes duration, from beginning to end. Included are questions on general motorcycle maintenance and rules of the road. It is conducted out on the road with one way radio, which allows the examiner to take you wherever he/she desires. This course is geared towards you, the rider who is coming back to motorcycling after a long break. The training may be conducted on a smaller bike initially, giving the rider confidence before moving onto the more advanced techniques. The back to biking courses are tailored to the individual requirements of the rider. A phone call to discuss your specific level of riding and desired goals, is highly recommended. The advanced course is aimed at you, the rider who wants to advance their riding capability. It will help you with every aspect of your riding and may highlight weaknesses that you were not aware of. It will teach you how to control your motorcycle, the importance of observation, positioning and speed. Based on the “system of motorcycle control“ as detailed in motorcycle roadcraft, the police rider's handbook. 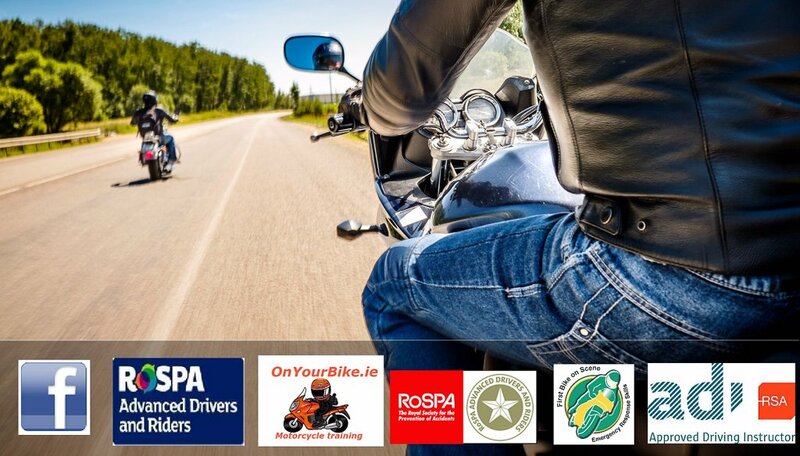 The aim of this course is to encourage an interest in road safety, to improve riding standards and in particular to help riders pass the RoSPA Advanced drivers & riders driving test (RoDAR test) and IAM advanced test. Times and routes are tailored to meet your needs, minimum of 2 hours duration per lesson. We highly recommend a phone call to discuss your specific level of riding and your desired goals. All courses are tailored to meet your individual needs and competitively priced. Local pick-up /drop off available if required. 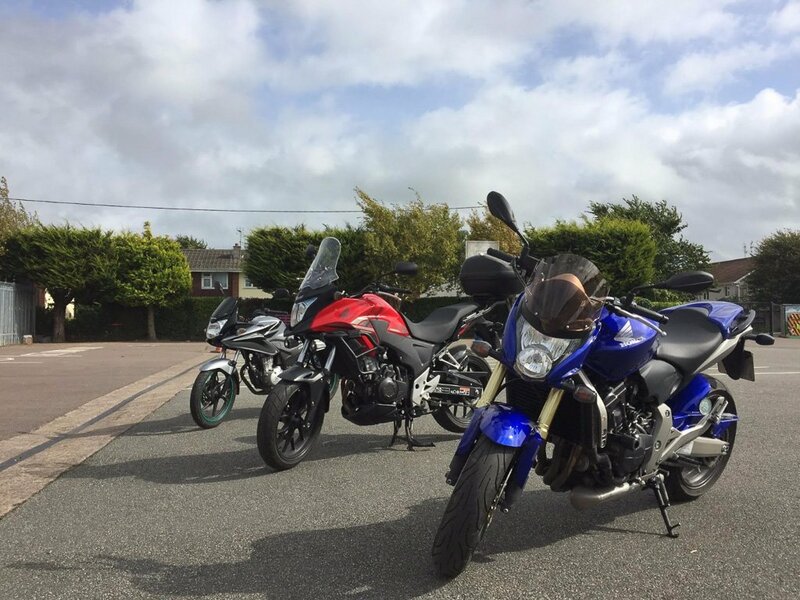 Terms and conditions apply: OnYourBike motorcycle training ltd.
OnYourBike Motorcycle Training ltd ,would like to acknowledge the continued support from the following local motorcycle dealers. Noel Quinn, GMC Motorcycles Tramore rd Cork ph : 087 7558970 http://gmcmotorcyclescork.webs.com/ where possible please support your local motorcycle dealers.